Today, Pope Francis is arriving in Panama for the first time, for the occasion of the XXXIV World Youth Day being held in the Central American nation, Jan. 22-27, 2019, as announced by the Pontiff on July 31, 2016, in Krakow, Poland, where the last WYD was held. The Holy Father will participate in various events of the WYD, and also will visit a juvenile detention center to hear confession and visit people suffering with AIDS. In this wide-ranging interview, the Panamian Archbishop discusses what distinguishes this WYD, his country, and how this will be the first ‘Marian Day, the figure of the Virgin in a continent where the faith arrived by the hand of the Virgin Mary.” He also discusses what have been the challenges, the global encounter for the indigenous, before the WYD, and what is the situation for young people in his country and region. Zenit will be bringing its readers more coverage of the WYD on the ground. ZENIT: With 34 years of history, the World Youth Day has been held in different places throughout the world. What will be the characteristic of Panama’s WYD? What distinguishes Panama? Archbishop Ulloa: This World Youth Day has been very particular and special. First, because all the bishops of the Central American region supported its candidature, which means that for the first time, the Days are being held in two countries — Panama and Costa Rica. There was the possibility that Nicaragua would take part but, given the situation in the country, it wasn’t possible. Moreover, it has been the Day of the peripheries, as Pope Francis wished, to give the opportunity to many young people who wouldn’t be able to take part because of the poverty and exclusion they suffer. It’s the first Marian Day, the figure of the Virgin in a continent where the faith arrived by the hand of the Virgin Mary. It was also historic that a global meeting of indigenous people was held before the WYD, along with a WYD Forum of Afro-descendants. [These represent] sectors that live and experience exclusion and discrimination, but who have concrete proposals to address their problems. Moreover, 12 formation catecheses were held on Pope Francis’ magisterium, on the figure of Mary as a young girl who said yes to God’s plan, despite the risks it meant; and on the ecology, from the point of view of Laudato Si’. It is a day when different faith communities have united to support and welcome pilgrims in a very integral and public manner. And it’s a day organized and led by young people themselves, who have been the protagonists, which enabled them to strengthen their leadership and professionalism. All this is a great blessing for the Church. ZENIT: Panama is a very small country. And the WYD will be the most crowded event of the country’s history. What were the most complex and difficult challenges of its organization? Archbishop Ulloa: Panama is certainly a small country. However, during its history the Lord has enabled it to achieve unthinkable goals: the recovery of the Panama Canal, which was in the hands of a world power, its having great feats in sports, such as reaching the Soccer World Cup. God goes beyond human logic; He enables great works to be done from the littleness of His children. Pope Francis, the Vicar of Christ, wished that the Day should go out to the fringes — this is an example. After the WYD in Panama, no country will be able to say that it can’t do an event such as this. Let us recall that God doesn’t choose the able but enables those He chooses for a mission. We all have the strength that comes from God, and it stimulates us to undertake great projects. Perhaps one of the greatest challenges has been the logistical side, because it’s an unprecedented event in the Central American region. To think of and to organize the arrival of more than 150,000 people on a specific date hasn’t been easy. However, the Panamanian people took on this project as did the whole Central American region. An example is the establishment of a migratory agreement so that the pilgrims can go through the border security more rapidly and, also, through the generosity of hundreds of families, who have opened the doors of their homes to welcome the pilgrims. 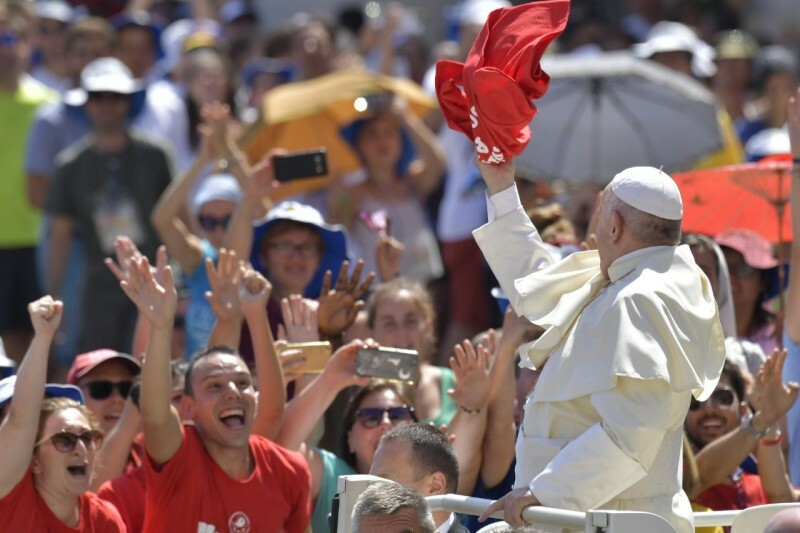 ZENIT: According to the estimates, what will be the numbers of Panama’s WYD? How many people and how many countries? Archbishop Ulloa: We are hoping that between 150-200,000 registered pilgrims will take part in the 2019 Panama WYD from over 150 countries around the world, representing the five Continents. To these we must add 25,000 volunteers. ZENIT: In a few words, how would you describe the situation of the Church in Panama, and its young people? Archbishop Ulloa: The Church in Panama is a young Church, just 506 years old. It was the first diocese on terra firma of the American Continent, under the name of Santa Maria La Antigua, in the year 1513. It’s a Church in which the laity has wide participation, not hesitating to assume more profoundly being that Church which goes forth. It’s a Church with a profound devotion to the Virgin, but Christ-centric, because the feasts around Jesus Christ have an intensity that convokes the whole country. It’s main challenge is to open greater areas of participation and all that pertains to the decisions of youth, that is, to strengthen youth leadership, from their ethnic and cultural diversity, especially those that are in the digital continent. The situation of young people isn’t easy, as they face great challenges that, on not a few occasions makes it difficult for them to access a quality education, work and fitting housing that will enable them to form true Christian families. However, I stress, they don’t lose hope and struggle to get ahead and to be coherent with their faith, to give witness of a Christian life. Today, as the last Synod on Youth concluded, we have the responsibility to accompany them, but very especially to listen to their needs. ZENIT: What are the most vivid memories of John Paul II’s trip to Panama in 1983? Archbishop Ulloa: I had the honor to be able to server at the altar when I was a seminarian in that great Mass with him. It was an extraordinary experience for my vocation to be able to have close to me the now Saint John Paul II. His strongest teaching was that in a country the most important enterprise is the family. ZENIT: What strong messages do you expect from Pope Francis and on what subjects in particular, be they religious or social? Archbishop Ulloa: We expect a message of hope from Pope Francis, which will strengthen us in our journey of faith, especially in a continent and in a world where we need to break with corruption, poverty, indifference, human trafficking, and all this is possible, in this moment of history, by the hand of youth. Pope Francis has so specified. Another very sensitive topic is the ecological, where the human person and the common good are at the center. Migrants are also a challenge for the Church and the peoples of the region, which we hope to address. And we hope, very especially, that after the Synod of Bishops on Youth, Pope Francis will give us guidelines in his Post-Synodal Exhortation. ZENIT: How was the idea born of having a day dedicated to all young indigenous people of the world linked to the World Youth Day? Archbishop Ulloa: This is a Day of the peripheries, to reach all environments, without excluding anyone, and we must also consider that, in this American Continent, if we are going to talk of poverty, exclusion and discrimination, it has an Indian and Black face. It was vital that room be made for this, that is why a WYD Forum of Afro-descendants was held with young leaders who presented their proposals in face of the challenges they face, taking into account their cultural and ethnic roots. And the Indian gathered in the Indigenous World Youth Day, where they also presented their proposal to maintain their culture and identity. ZENIT: What do you think will be the highlights of this World Youth Day and of this visit to Panama? Archbishop Ulloa: We hope that necessary areas will be created for the participation and decision-making of our young people. We want to strengthen their leadership and that’s why we are assuming the Docat in the region, which is formation in the Social Doctrine of the Church. Our young people are able to assume the commitment to transform the realities that have dehumanized today’s society; they are able to achieve their aims with creativity. The Holy Father wished to dedicate this Day to Mary and, with it, also the role of women in our society and, very especially, in our Continent and in the Church. May we, like Her, have the strength to respond affirmatively to God’s call, to the Church’s call.